Welcome to Young Women Speaking the Economy! It's no secret that the global economic crisis has affected billions of people around the world, but it may come as a surprise that it has affected the young more than anyone (read more here). 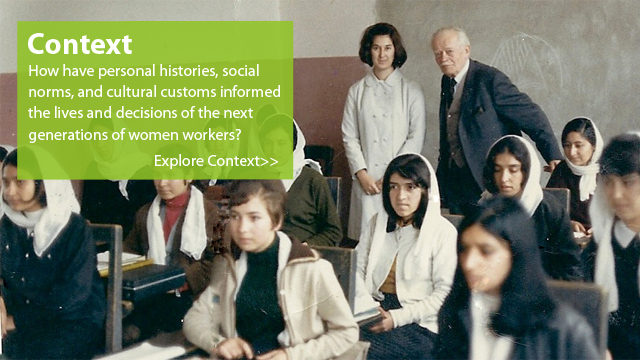 As the world faces warnings of a "lost generation" of workers, where are the voices, concerns, and ideas of young women in the current economic debate? You'll find them here, in Young Women Speaking the Economy. 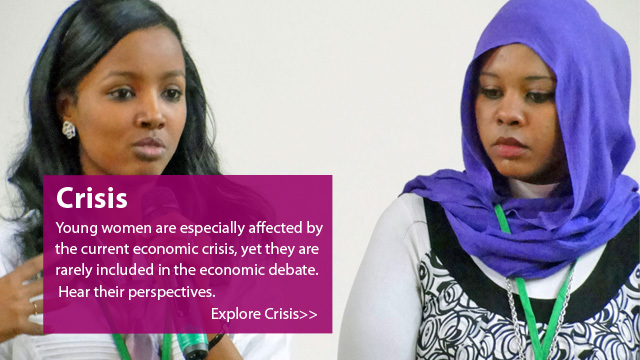 This online exhibition--created by 44 young women from Denmark, the United States, Sudan, and the Philippines--asks the question, "What's on your mind at this time of global economic crisis?" Events celebrating Young Women Speaking the Economy will be help in all four countries represented in the project. Global events celebrating the exhibition are hosted in Sudan (May 5), the Philippines (May 28), or Denmark (June 15). The exhibition launched in Oakland on April 21. Visit our events page for more information about upcoming events! 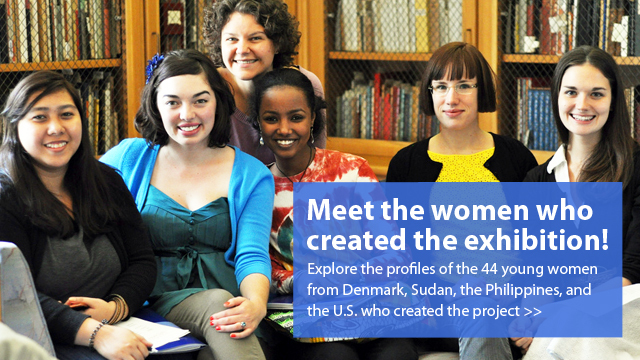 Young Women Speaking the Economy is a project of the International Museum of Women in partnership with the Sudanese Women's Museum and Ahfad University for Women in the Sudan; the Women's Museum and Aarhus University in Denmark; the Ayala Museum and Miriam College in the Philippines; and Mills College in the United States. Major funding for the project is provided by Museums & Community Collaborations Abroad (MCCA), made possible by the U.S. Department of State's Bureau of Educational and Cultural Affairs and administered by the American Association of Museums; and by MetLife Foundation's Museum and Community Connections grant. Additional support comes from the Emma Willard School.